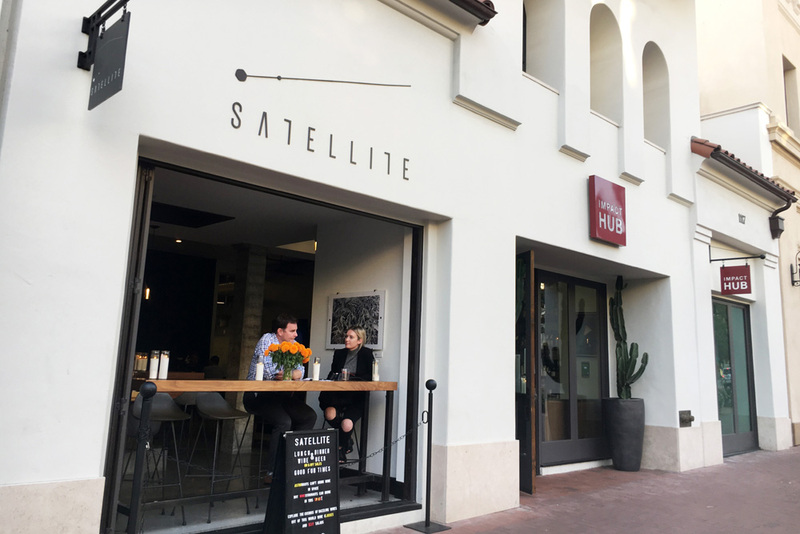 Maybe it’s because I’ve said it a hundred times, or maybe it’s because I’m not the only one in town who craves new and interesting places, but Satellite has been delivering that exact type of experience — on State Street, no less! — since June. On the menu at this hip, space-themed bar that marks the State Street entrance to Impact HUB, at 1117 State St., are fresh farmers market bites, the ever-popular spritz cocktail, top-level obscure beers, and an extensive local and imported wine list compiled by the bar’s proprieter, Drew Cuddy. Cuddy’s extensive wine knowledge isn’t found only in the finely curated wine menu featuring such well-known local boutique labels as Whitcraft plus newly debuted labels such as Simple Fish. 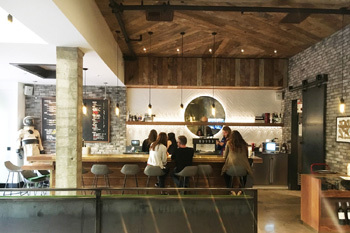 What sets Satellite heads above the rest is Cuddy’s fresh take on the wine bar experience by offering educational classes, complete with certification, for both wine enthusiasts and those in the beverage industry. Cuddy’s history with wine goes back to his childhood, starting with a trip to Italy at 15 years old, which later blossomed into Italian homestays with winegrowers during his college years. His knowledge of European and California wines alike, plus a penchant for learning, are what make this bar so gosh darn interesting. The wine list and local farm eats are great to be sure, but one can taste wine and do the farm-to-table experience just about anywhere in this town nowadays. However, not every place offers official wine education that most have had to travel to larger cities for. Satellite’s next six-hour intensive WSET class will be taught by Barbareño’s wine director, Lenka Davis, from 10 a.m. to 5 p.m. Dec. 3. The course will cover such topics as food and wine pairing, wine tasting and service, plus a general knowledge of different grape varietals. Those who complete the course and 30-question exam will receive the WSET Level 1 Award in Wines. Cuddy’s commitment to quality and his forward thinking give me high hopes for this interesting and creative wine bar.